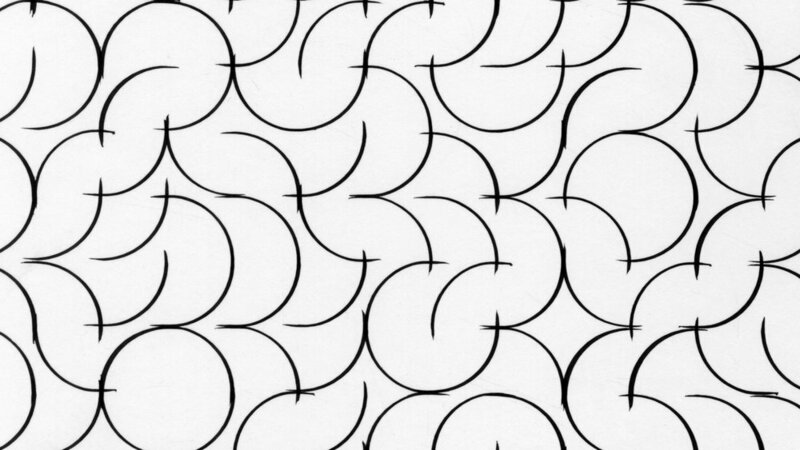 This series of drawing experiments explores overlaps between procedural design techniques, computer numerically controlled (CNC) machinery, and the craft of analog drawing. In today’s paradigm of digital design and production, architects often eschew qualities of unpredictability and risk in the drawing process. In many practices, the act of drawing has been marginalized to merely an afterthought or a “deliverable;” the drawing becomes purely representational and no longer maintains any generative capacity. This project challenges this status quo by leveraging technology to subvert its own biases for precision and predictability, using computational design and fabrication techniques to re-introduce error in productive and measured ways that open up new and evocative aesthetic possibilities. Each series of drawings begins by establishing an algorithm for producing fields of simple geometries in a regularly spaced grid. The geometries are then translated to instructions for a custom-made CNC drawing machine that paints ink on paper with a watercolor brush. 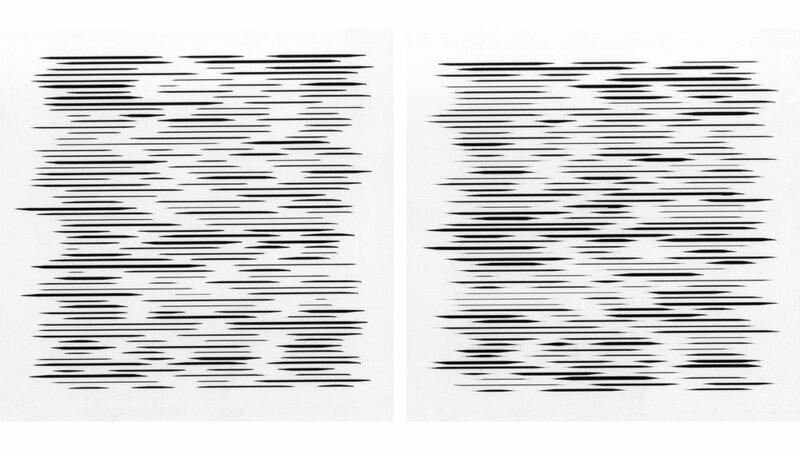 Each of these acts of translation—from code to mechanical motion to the material deposition of ink on paper—introduces noise into the system: inaccuracies, glitches, and anomalies that compromise the fidelity of the original geometric information, but also generate unexpected and surprising aesthetic qualities. The project channels the work of earlier procedural artists such as Sol Lewitt and Manfred Mohr in its use of gridded, primitive geometries such as lines and arcs. This logic neutralizes questions of form and geometry, providing a consistent framework for comparing the variation from one drawing to the next. Variation accumulates in layers as unexpected behaviors emerge at several points throughout the process. First, the initial procedural logics incorporate random seeds that allow for iterative variation of geometric parameters, such as rotation or length. Second, the translation of the virtual drawing to instructions for the CNC machine introduces issues of tolerance, calibration, and mechanical imprecision that produce strange, accidental artifacts like bumpy lines and variable lineweights. Finally, the delivery of ink onto the paper is entirely dependent upon the material parameters of the media, the brush quality, and even environmental factors like temperature and humidity. 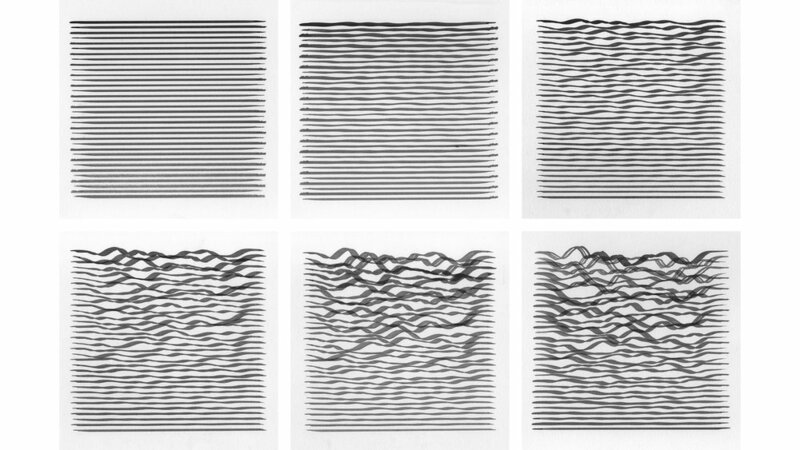 Whether algorithmic, mechanical, or material in origin, the sources of noise are cumulative and contingent; together they contribute a sense of craft to the drawings that otherwise would not be present. 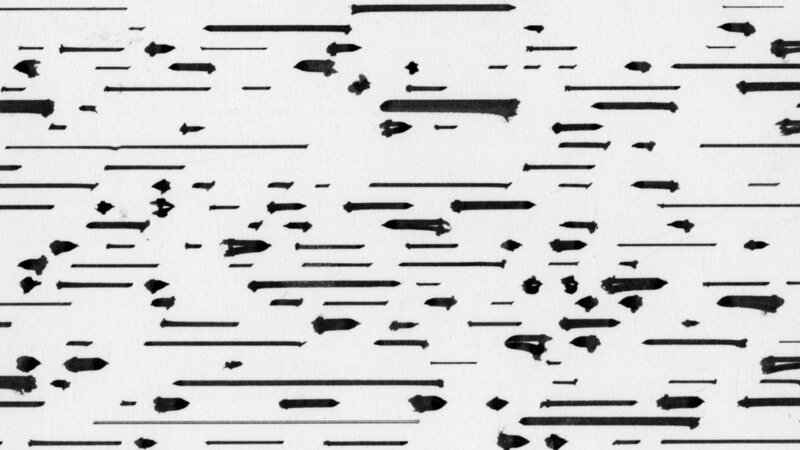 The drawings begin to demonstrate the opportunities that lie within translations from bits to motion to matter—and the possibility of finding craft in computational modes of design and fabrication.